The unit was planned for February, in which we had one three-day week, one four-day week, and two five-day weeks. The calendar displayed reflects the first two weeks of the Unit, in which we focused on Romeo and Juliet, cultural anthropology, and planning and executing our first two field visits at the senior center. Materials for each lesson may be found under the Resources tab. ​After participating in direct instruction and reading, students will generate a working definition of ‘culture’. Students will work together to prepare 30 questions and a timeline for their one-hour interviews. CCSS.WHST.9-10.10 write routinely for a range of discipline-specific tasks, purposes, and audiences. ​After participating in a lecture, discussion, and reading about the custom of arranged marriage, students will write a short, creative response in the format of a letter to themselves. 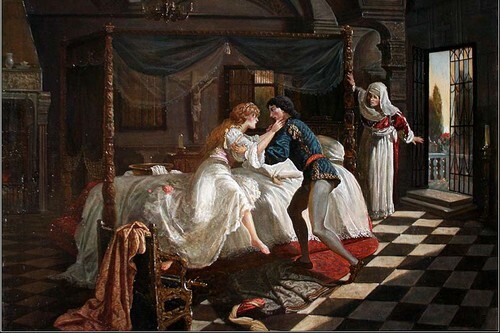 After participating in a lecture, discussion, and reading about the customs of romantic love, students will compose a short response synthesizing knowledge of romantic love customs and the anchor text, Romeo and Juliet. Students will engage in meaningful conversation with residents, taking notes on how the individual has experienced love in his or her lifetime. Students will return to present a product proposal to their "client", explaining the designs and showing the resident a cardboard prototype.